Here is a simple, and easy treat that you can make to share with your family. It tastes just like a pumpkin pie, but without all the work. I tweaked the recipe a little for my taste. In a large bowl combine pudding mix, heavy whipping cream, coffee creamer, and spices. 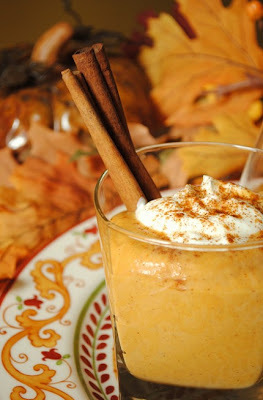 Whisk until well incorporated, then add the full can of pumpkin, and whisk again until incorporated. Then fold in half of the Cool Whip into the mixture. Spoon mixture into pie crust, and top with reaming Cool Whip. Refrigerate for 3 hours, or until chilled. This pie taste awesome, and is super easy to make, or you can eat it right out of the bowl! You should try it out. it is a great fall treat! Happy Halloween everyone! I can't wait to see all the great costumes tonight.